LILA WOLFF-WILKINSON has been developing Performing Your Profession for several years. She is passionate about its efficacy & teaches it zealously & joyfully. She has an M.F.A. and D.F.A. from Yale School of Drama (Dramaturgy & Dramatic Criticism); an M.A. from Hofstra University (Theatre Arts, focusing in Directing); an A.B. from Brown (English Literature). Additional training has been in Neil Freeman’s & Patrick Tucker’s workshops on Shakespeare First Folio technique; workshops with San Francisco Mime Troupe, Joanne Akalaitis, Richard Schechner, Suzuki-trained practitioners, Augusto Boal & Boal-trained practitioners; workshops on directing & acting; numerous collegiums on creativity with Theatre as a Liberal Art, a focus group of Association for Theatre in Higher Education; classes at Stella Adler Studio & Circle-in-the-Square. Dr. Wolff-Wilkinson has taught theatre at colleges & universities for over 30 years & was nominated for an Outstanding Teacher of the Year award. She served as Administrator of New Haven Opera Theatre, a small professional company. Director of over 30 plays in academic & professional venues, she has worked professionally as a stage manager & assistant to costume designers, including 7 summers on the staff for operas at the Caramoor Festival, Katonah, NY. 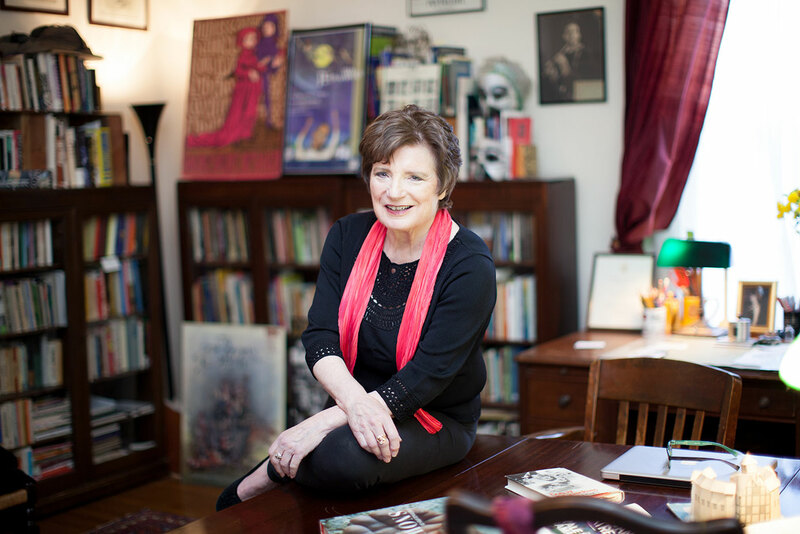 A founding Board member of the Association for Theatre in Higher Education, she has since held other national offices. Roles in Theatre as a Liberal Art have included chair, conference planner & member services coordinator. She’s an elected member of the CT Academy of Arts & Sciences & Honorary Member of the Yale Sherlock Holmes Society. She has delivered numerous papers at ATHE conferences & chaired nearly a dozen panels; lectured on creativity at community lecture series & in a graduate course in Industrial Engineering; & was the 2004 Yale Sherlock Holmes Society Reichenbach Lecturer. Publications include scholarly journals & contributions to books. Lila fills in as a summer church organist; conducts alumni interviews with Brown applicants; and, for the last 20 years, travels biennially to England.